These earrings are a custom order for a big fan and player of piano. 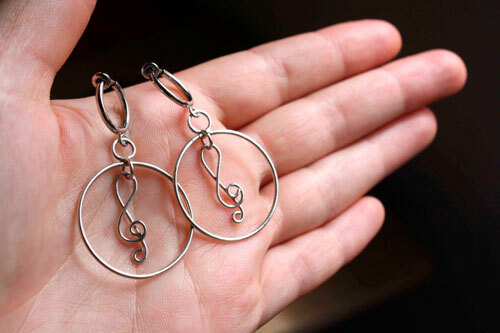 She wanted a pair of earrings for non-pierced ears that is related to music, preferably representing a treble clef. 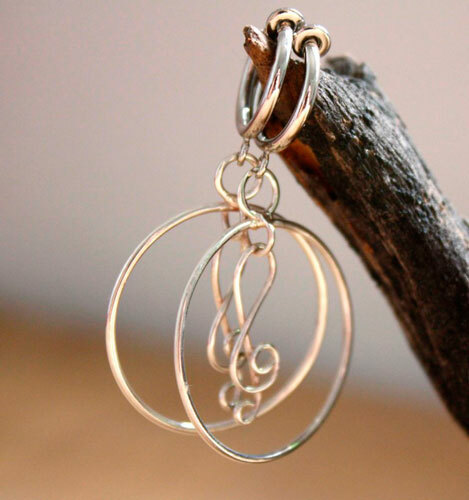 To fly with this piano music, I realized light and mobile loops, mostly with sterling silver wire. 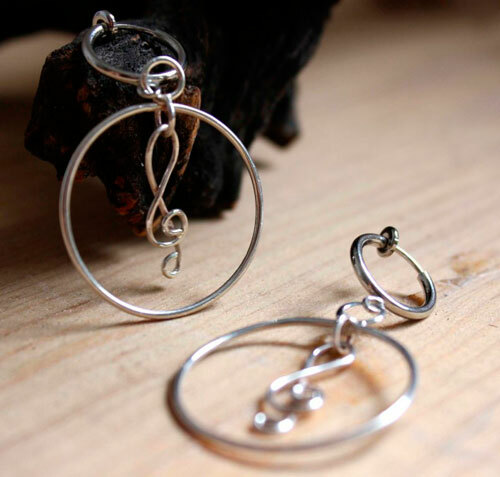 The space of each loop is defined by a circle, swaying gently to the non-pierced clip earrings. In it, hangs a treble clef that dance freely in the circle. 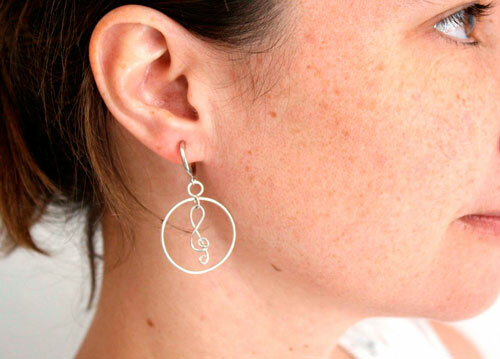 While also movement, lightness, accompanying each piano note, these earrings celebrated music. The ear wires are for non pierced earrings. 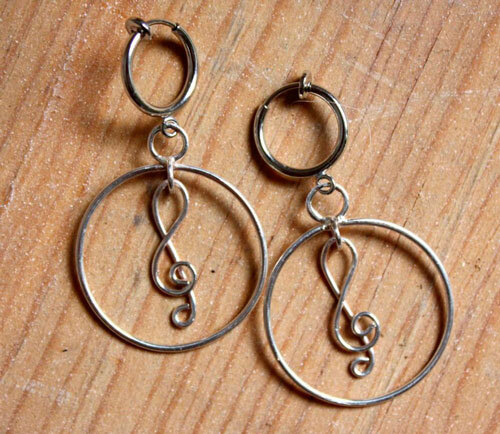 Tag: earrings, sterling silver, round, single, valentine, music, delicate, elegant, light, chic, piano, note, treble, clef, score, musician, custom order, circle.